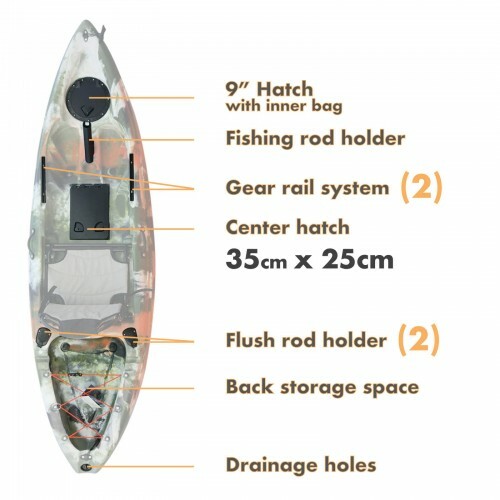 Small compact size, easy to transport. UV resistant material, very durable. 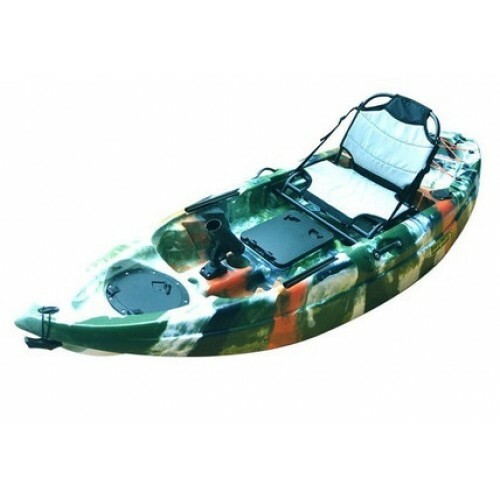 Well designed hull shape, stable for beginners to use in most water conditions. 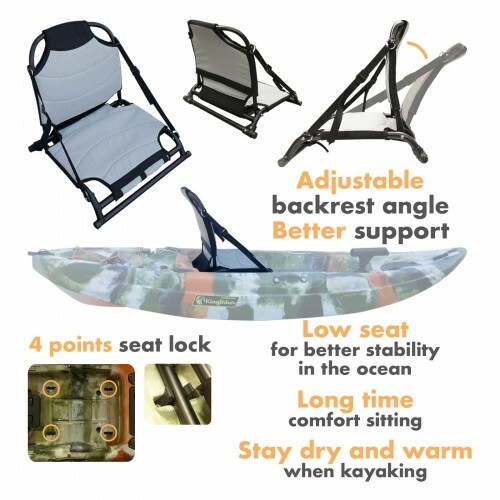 Removable hard seat with adjustable angle for comfort when sitting for extended periods. 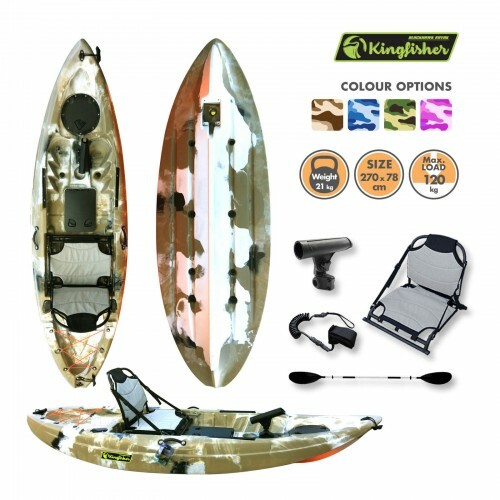 Two gear rails on each side of the kayak for installing more fishing accessories. 2 Large storage hatches with lock, not blocked by the seat, accessible at anytime. 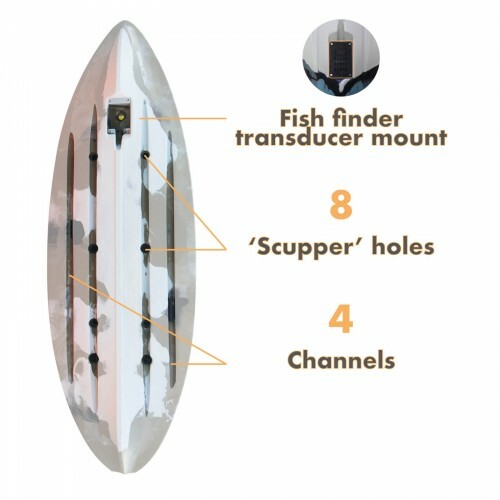 Removable fish finder transducer mount plate at the bottom, easy to setup with no damage to the kayak. Small Single KayakSpecifications: - Length: 238.5cm - Width: 78.3c..
Budget Double KayakSpecifications: - Length: 340.5cm - Width: 84..